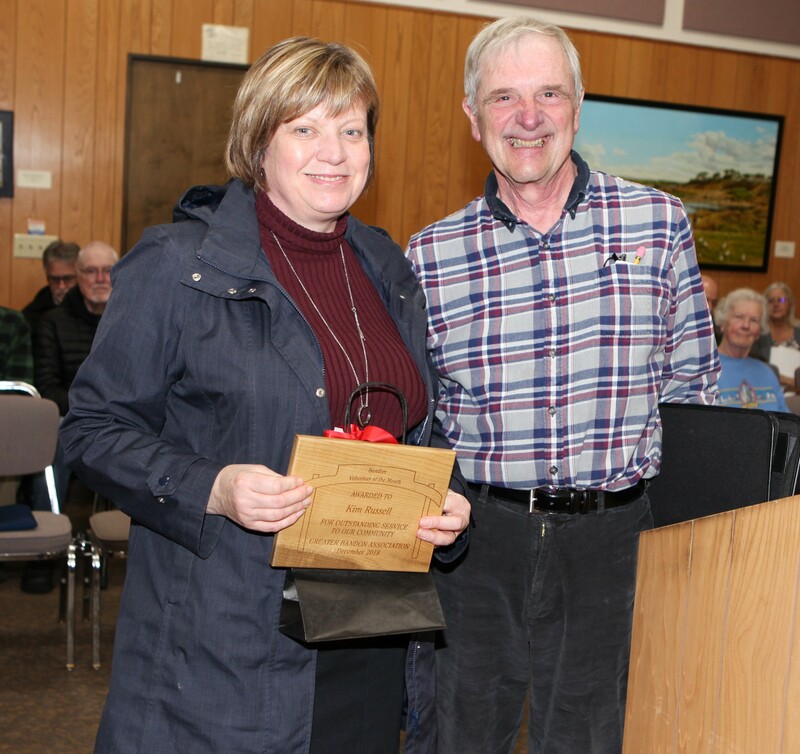 Kim Russell was recognized by the Greater Bandon Association as Bandon’s Volunteer of the Month at the February 4th meeting of Bandon’s City Council. GBA presents this award to one the many outstanding individuals that contribute to making Bandon a better community to live in. Kim was presented the award in form of a plaque and a gift certificate from Devons Boutique. Kim was among several community members who stepped when the Bandon Community Youth Center closed their doors. Through their efforts, the Center is once again a vital resource for the youth in our community. Kim has been secretary, treasurer and grant committee member for the its Board of Directors. Her fundraising efforts and financial oversight has been crucial in the Board’s work and in the Center’s success. The Greater Bandon Association will be honoring one of Bandon’s many volunteers that are making a difference in the community each month. Nominations for the May award should be e-mailed to harv@greaterbandon.org or mailed to P.O. Box 161 by close of business on February 22nd.